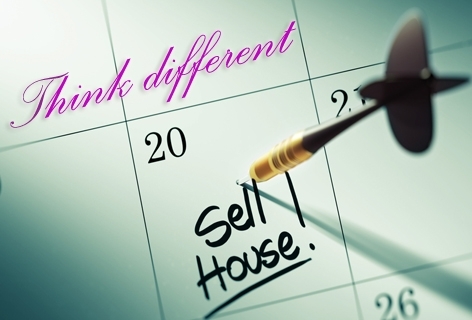 landinkerala.com provides real estate services to you subject to the following conditions. If you visit or sign up at landinkerala.com you accept these conditions. In addition, when you use any current or future landinkerala.com services whether or not included in the landinkerala.com\\'s Web site, you also will be subject to the guidelines and conditions applicable to such service or business. Please review our Privacy Notice, which also governs your visit to landinkerala.com to understand our practices. When you visit landinkerala.comor send e-mails to us, or respond to advertisements on the site, you are communicating with us electronically. You consent to receive communications from us electronically. 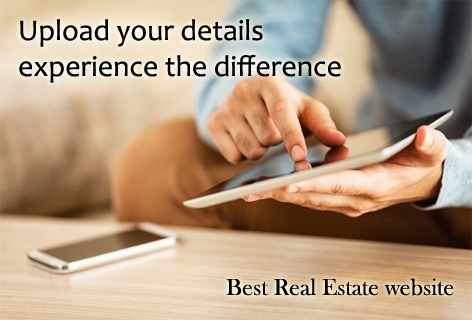 We will communicate with you by e-mail or by posting notices on this site. You agree that all agreements, notices, disclosures and other communications that we provide to you electronically satisfy any legal requirement that such communications be in writing. All content on this Web Site, including, but not limited to texts, images, illustrations, audio clips, and video clips, is protected by copyrights, trademarks, service marks, and/or other intellectual property rights (which are governed by Indian and worldwide copyright laws and treaty provisions, privacy and publicity laws, and communication regulations and statutes), and are owned and controlled by landinkerala.com or its affiliates, or by third party content providers, merchants, sponsors and licensors (collectively "Providers") that have licensed their content or the right to market their products and/or services to landinkerala.com. 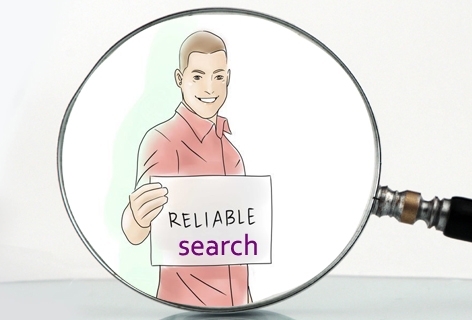 Content on this Web Site or any web site owned, operated, licensed or controlled by the Providers is solely for your personal, non-commercial use. You may print a copy of the content and/or information contained herein for your personal, non-commercial use only, but you may not copy, reproduce, republish, upload, post, transmit, distribute, and/or exploit the content or information in any way (including by e-mail or other electronic means) for commercial use without the prior written consent of landinkerala.com or the Providers. You explicitly agree not to modify the content, use of the content on any other web site or networked computer environment, or use of the content for any purpose other than personal, non-commercial use, violate the rights of the owners of the landinkerala.com and/or the Provider copyrights, trademarks or service marks and other proprietary rights. As a condition to your use of this Web Site, you warrant to landinkerala.com that you will not use our Web Site for any purpose that is unlawful or prohibited by these Terms, including without limitation the posting or transmitting any threatening, libellous, defamatory, obscene, scandalous, inflammatory, or profane material. If you violate any of these Terms, your permission to use our Web Site terminates forthwith without the necessity of any notice. landinkerala.com retains the right to deny access to anyone at its discretion for any reason, including for violation of these Terms. You may not use any trademarks, service marks or copyrighted materials appearing on this Web Site, including but not limited to any logos or characters, without the express written consent of the owner of the mark or copyright. You may not frame or otherwise incorporate into another web site any of the content or other materials on this Web Site without prior written consent of landinkerala.com . If you use this site, you are responsible for maintaining the confidentiality of your account and password and for restricting access to your computer, and you hereby agree to accept responsibility for all activities that occur under your account or password. IndiaProperty.com reserves the right to refuse service, terminate accounts, remove or edit content, or cancel subscription in their sole discretion. Mode: By registering your profile landinkerala.com you choose to become a member of landinkerala.com . landinkerala.com discharges its obligations to you by the rendering of its services to you; or The termination of the membership by either landinkerala.com or you. Online Conduct: You are responsible for the content and information [including profile and photographs] you post or transmit through landinkerala.com services. You will not post or transmit any content or information [in whatever form they may be contained] that is defamatory, blasphemous, abusive, obscene, sexually oriented, profane, intimidating, illegal or in violation of the rights of any person, including intellectual property rights. No content or information shall contain details or particulars of any of landinkerala.com competitors, including their contact details. You will not use either your online or offline membership as a platform for any kind of promotional campaign, solicitation, advertising or dealing in any products or services or transmit any chain letters or junk mails. landinkerala.com reserves the right to modify your content if any prohibitive or objectionable content is found, or in the case of your contact details being entered in irrelevant fields landinkerala.com may also modify the profile for other reasons not mentioned herewith. You will not post or transmit any content, information or trademarks without the prior consent of the person holding its proprietary or licensed rights. landinkerala.com will not in any way be responsible or answerable to any action brought by any person arising out of your acts as described above. landinkerala.com reserves the right but is not obligated, to edit, delete, eclipse or withhold display of such content or information as it deems fit in the light of the rules prescribed above. All content on this web site is provided "as is" and without warranties of any kind either express or implied other than those warranties which, under the Indian Laws applicable to these terms, are implied by law and are incapable of exclusion, restriction, or modification, IndiaProperty.com disclaims any and all warranties, express or implied, including, but not limited to, implied warranties of merchantability and fitness for a particular purpose. Neither landinkerala.com ., its affiliated or related entities, nor the providers, nor any person involved in the creation, production, and distribution of this web site warrant that the functions contained in this web site will be uninterrupted or error-free, that defects will be corrected, or that the server that makes the content available will be free of viruses or other harmful components. The content that you access on this web site is provided solely for your convenience and information only. landinkerala.com does not warrant or make any representations regarding the results that may be obtained from the use of this web site, or as to the reliability, accuracy or currency of any information content, service and/or merchandise acquired pursuant to your use of this web site. You expressly agree that use of this web site is at your sole risk. You (and not landinkerala.com ) assume the entire cost of all necessary servicing, repair or correction of your system. You expressly agree that neither landinkerala.com ., nor its affiliated or related entities (including its providers), nor any of their respective employees, or agents, nor any person or entity involved in the creation, production and distribution of this web site, is responsible or liable to any person or entity whatsoever for any loss, damage (whether actual, consequential, punitive or otherwise), injury, claim, liability or other cause of any kind or character whatsoever based upon or resulting from the use or attempted use of this web site or any other linked site. by way of example, and without limiting the generality of the foregoing, landinkerala.com and related persons and entities shall not be responsible or liable for any claim or damage arising from failure of performance, error, omission, interruption, deletion, defect, delay in operation, computer virus, theft, destruction, unauthorized access to or alteration of personal records, or the reliance upon or use of data, information, opinions or other materials appearing on this web site. You expressly acknowledge and agree that landinkerala.com is not liable or responsible for any defamatory, offensive or illegal conduct of other subscribers or third parties. As to extraneous contents: landinkerala.com hereby alerts and warns its members of the possibility of unauthorized posting of contents by any person including members and unauthorized users and advises discretion in access since such content, information or representation may not be suitable to you including being offensive. landinkerala.com will not in any way be responsible for such content, information or representations. landinkerala.com is also not responsible for alterations, modifications, deletion, reproduction, sale, transmission or any such misuse of data and content in the public domain by any user. Provision of Service: landinkerala.com will provide the service[s] that are opted and paid for by the member. In addition, the member may also make use of the other free services that are applicable to them. Medium of Interchange of Information: Besides the provision of services, landinkerala.com acts as a platform for all its members to interchange information. It is to be distinctly understood that landinkerala.com will only provide contact between and among members within its service framework.. landinkerala.com is not the agent of any member and does not partake in the interchange or the results thereof. landinkerala.com will be a disinterested person in the event of disputes between or among the members, though it may facilitate an amicable resolution of such disputes. Right to form Consortium/Associates: While providing services, landinkerala.com may outsource any part thereof to any competent person or organization, with or without disclosing it to you. However, your membership rights and responsibilities continue as against landinkerala.com only and not against such persons or organizations. Confidentiality: landinkerala.com will maintain confidential, all personal information other than that meant for posting or transmission furnished by members. However, IndiaProperty.com may divulge such information if required by law. 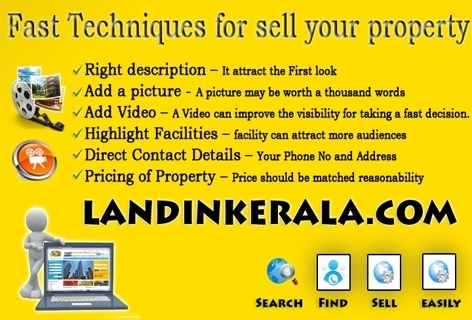 By agreeing to register at landinkerala.com or responding to and advertising on landinkerala.com or by using the services of landinkerala.com , the user hereby acknowledges and allows landinkerala.com to get in touch with him/her from time to time for intimating the users on events or properties for sale. This could include exciting offers, information, as well as promotions. Landinkerala.com can use the users email address and or contact numbers for this purpose irrespective of the user\\'s registration with the "National Do Not Call Registry" and will overall any such registrations. Termination of Membership: Either party may terminate the membership by serving a written notice on the other. landinkerala.com reserves the right to terminate the membership, to suspend a profile or to disable access in respect of any member in breach of any of the terms. In no case will the Membership fees be refundable. You hereby agree to indemnify, defend and hold harmless landinkerala.com and/or its affiliates, their websites and their respective lawful successors and assigns from and against any and all losses, liabilities, claims, damages, costs and expenses (including reasonable legal fees and disbursements in connection therewith and interest chargeable thereon) asserted against or incurred by landinkerala.com and/or its affiliates, partner websites and their respective lawful successors and assigns that arise out of, result from, or may be payable by virtue of, any breach or non-performance of any representation, warranty, covenant or agreement made or obligation to be performed by You pursuant to this agreement. Please review our other policies, such as our pricing policy, posted on this site. These policies also govern your visit to www. landinkerala.com. We reserve the right to make changes to our site, policies, and these Terms and Conditions of Use at any time. If any of these conditions shall be deemed invalid, void, or for any reason unenforceable, that condition shall be deemed severable and shall not affect the validity and enforceability of any remaining condition. By filling an enquiry form at landinkerala.com, landinkerala.com does not assure or guarantee any responses from builders/agents/owners. 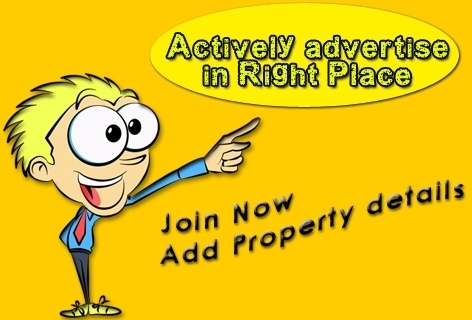 The user agrees and acknowledges that Indiaproperty.com shall use the information provided to contact the user for any purpose including but not limited to advice on property matters. landinkerala.com also reserves the right to send the information to other parties. Suggestions, Complaints, Disputes: Suggestions and complaints are to be first addressed to landinkerala.com Customer Support Department at support@ landinkerala.com. The membership is deemed to have been entered into atcochin,India and the laws ofIndia will govern the membership. Disputes arising out of or in any way affecting the membership including interpretation of any of the terms are subject to courts of appropriate jurisdiction in Ernakulam . You hereby explicitly agree for Ernakulam court\\'s jurisdiction for any disputes that may arise.